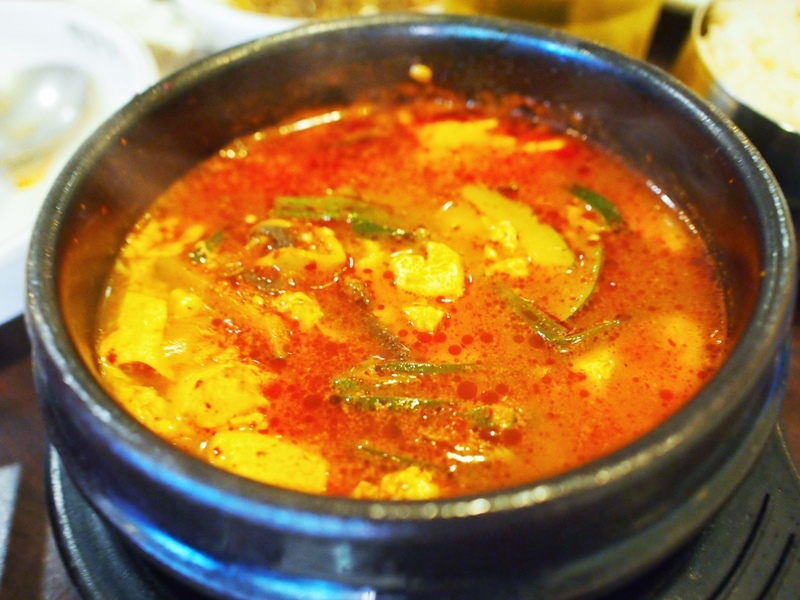 Posted by gurkhason in food. 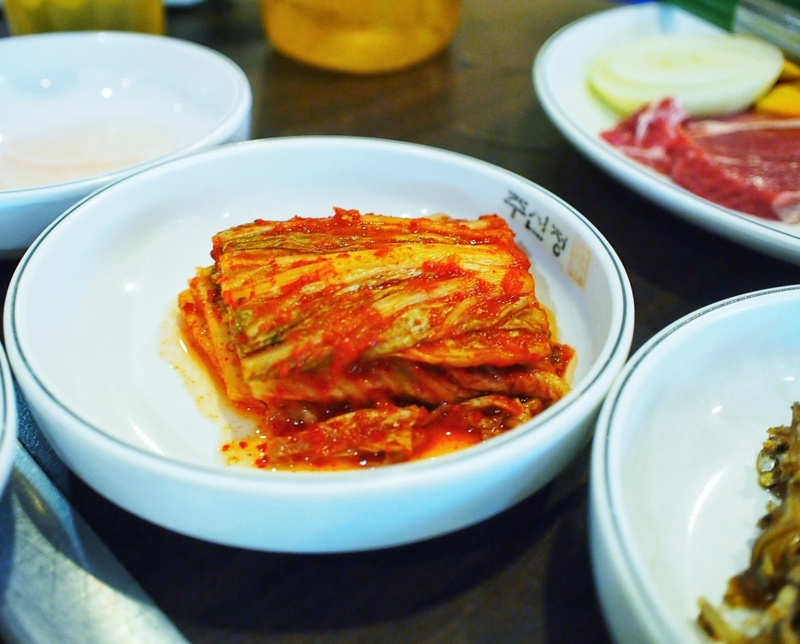 My earliest acquaintance with Korean BBQ is with Ju Shin Jung. It is located along the East Coast Park that is above Burger King and beside Long Beach Seafood and Waraku Japanese Restaurant. There is also the prawning farm in its vicinity. 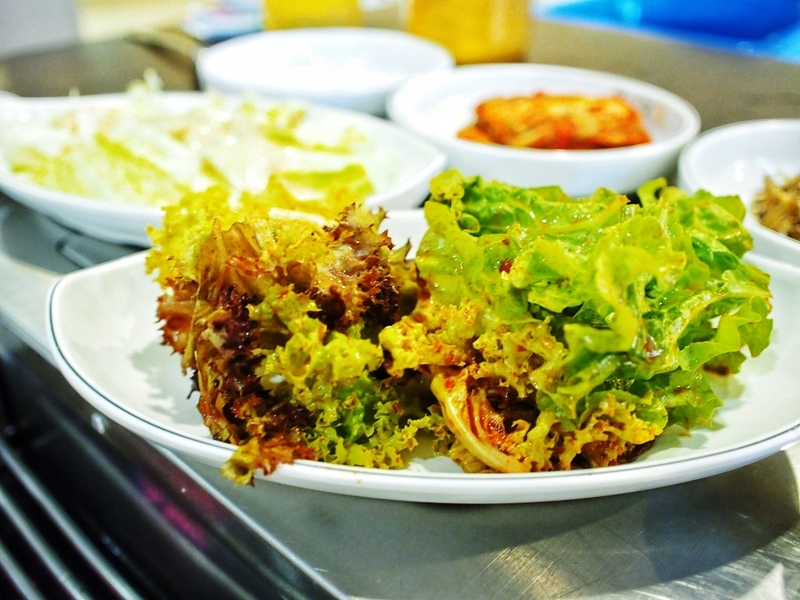 Dining at Ju Shin Jung always appear as a grand affair because of the number of side dishes which they bring out and how the sauces and appetizers are laid in front of you. Look at the picture, its amazing! I love when the table is filled with food because its as though dining like a king! For a buffet price of $29++ (We had a lunch on Sunday) you get unlimited pork and chicken. Pork belly is definitely my favourite. Look at how thick cut the beef is. They are very generous in the portion of meat they given even though it is a buffet. 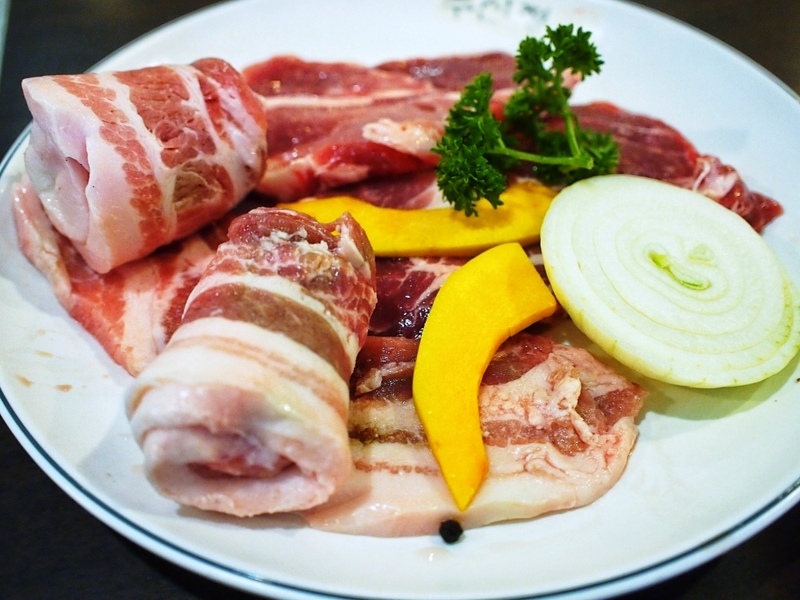 Although the meat are not very well presented when served to us, however be assured that after barbequing, it taste really fantastic! 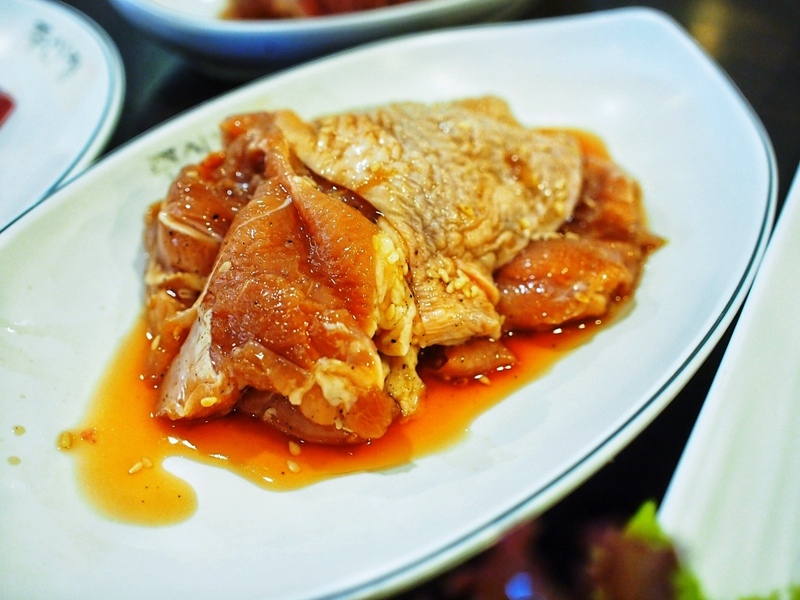 Especially the chicken which is very well marinated and taste so tender! 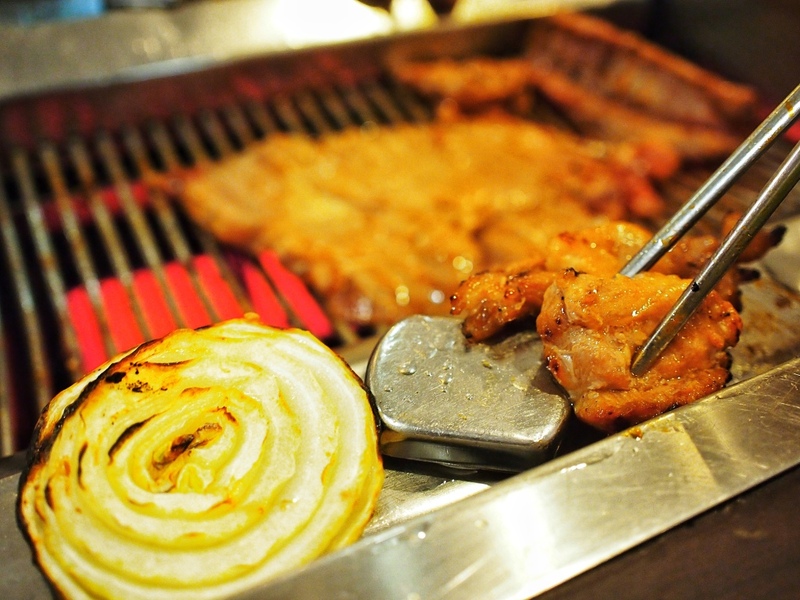 Ju Shin Jung is a full service restaurant which means you also don’t have to be bothered about BBQing the meat. Let the expert do their job. The service staff also do their rounds serving other tables while waiting for the meat to be grilled to perfection. As they constantly have to check back to your table, therefore the service is almost impeccable as you can tell them when you need refill of the side dishes or water or to bring extra utensils. Very personalised service. 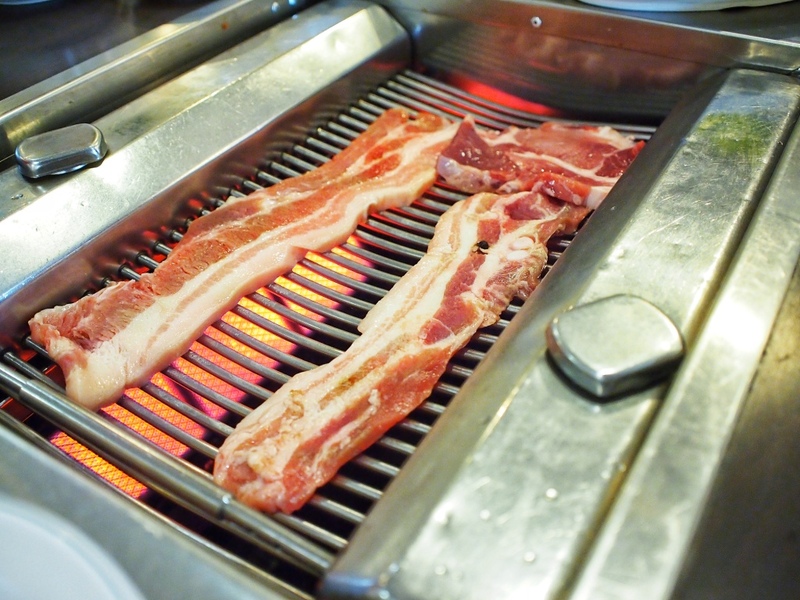 I wondered if the grill that Ju Shin Jung used are proprietary. 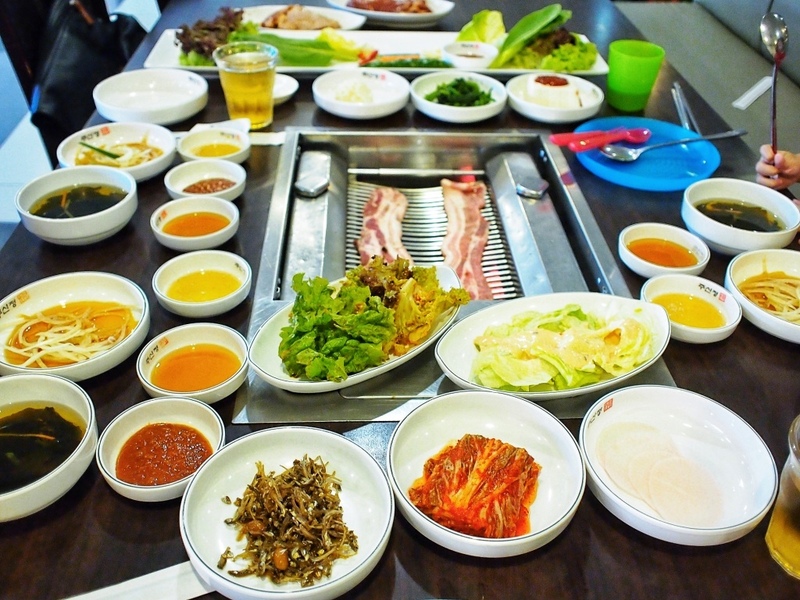 As compared to other Korean BBQ restaurants like E!GHT Korea BBQ and Ssikkek Korea BBQ, their grill is very far apart. This means that hardly any of their meat sticks to the grill or pan used. As a result the meat is taste less “charred” and more succulent. It is interesting to see the fiery red of the BBQ too. 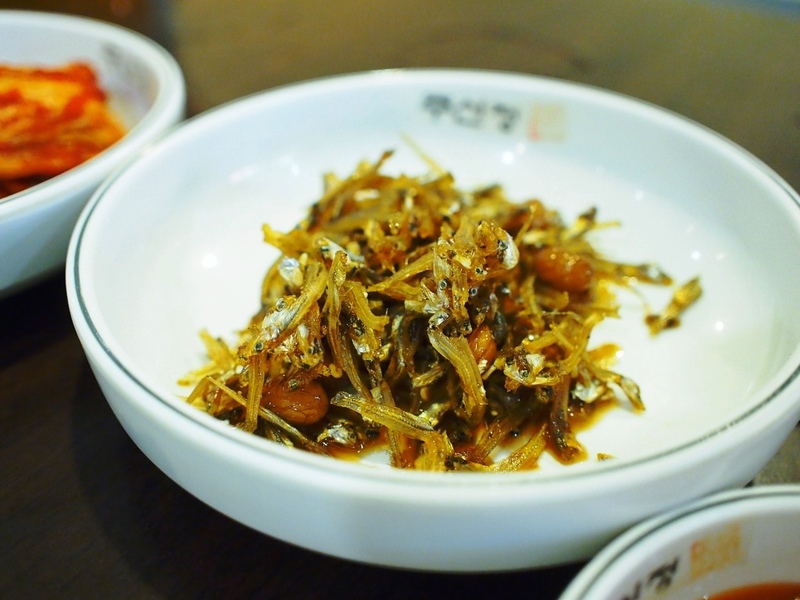 One thing I love about coming to Ju Shin Jung is because of the side order dishes that they served is very varied. 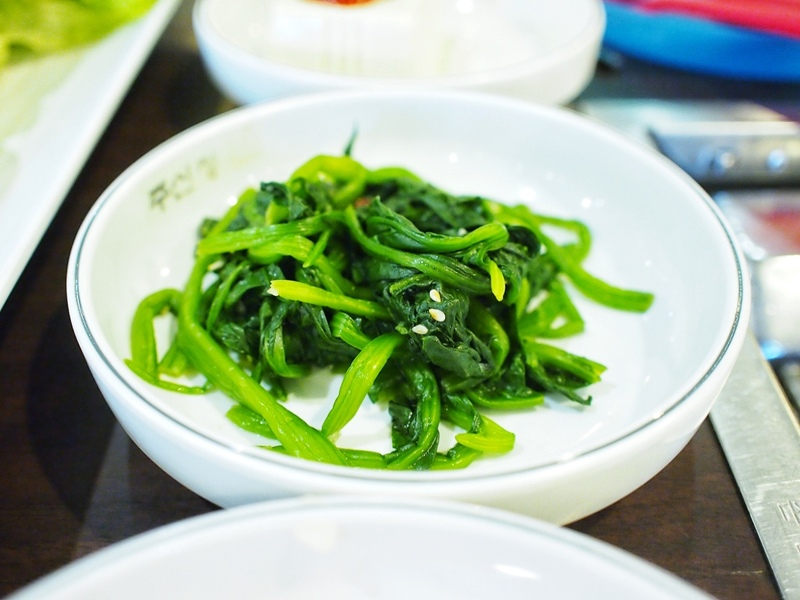 Having been to many other Korean BBQ, I realised that they are one of the most generous in serving the side dishes! 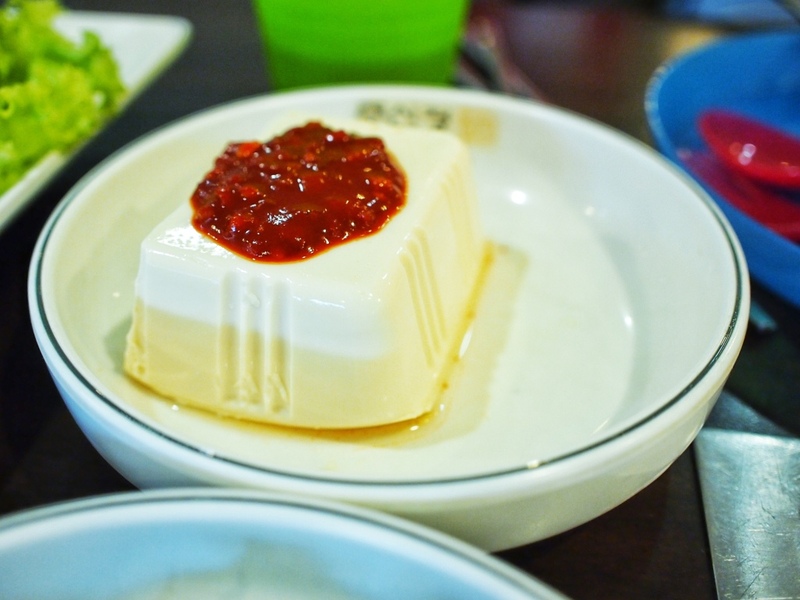 I particularly like the anchovies, tofu with chilli paste and spicy vegetable salad. 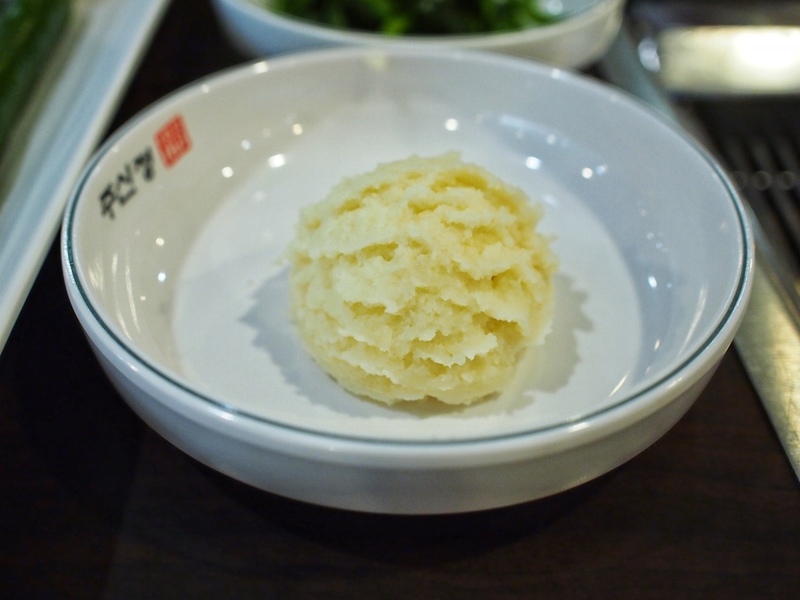 The mashed potatoes, though not the best tasting is still good; taste a little milky in fact; and served as a good carb from all the meat. 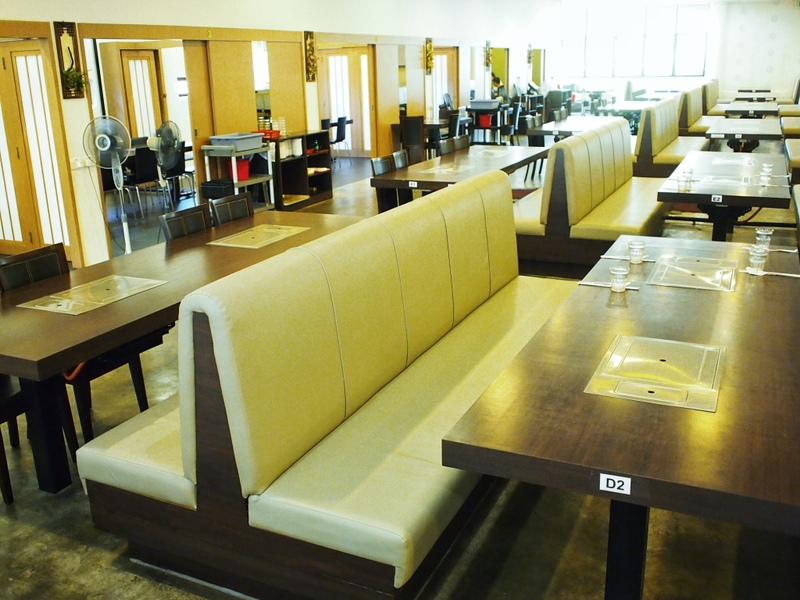 The buffet also comes with complimentary soup or noodles dish. We have each of us selected a different soup each. 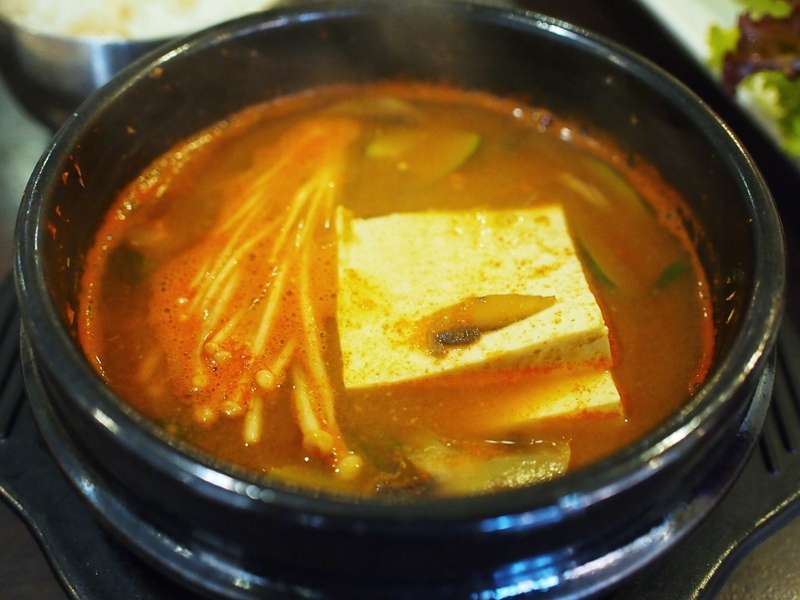 I usually order the Kimchi Tofu soup as there are usually too much meat from Korean BBQ buffet. 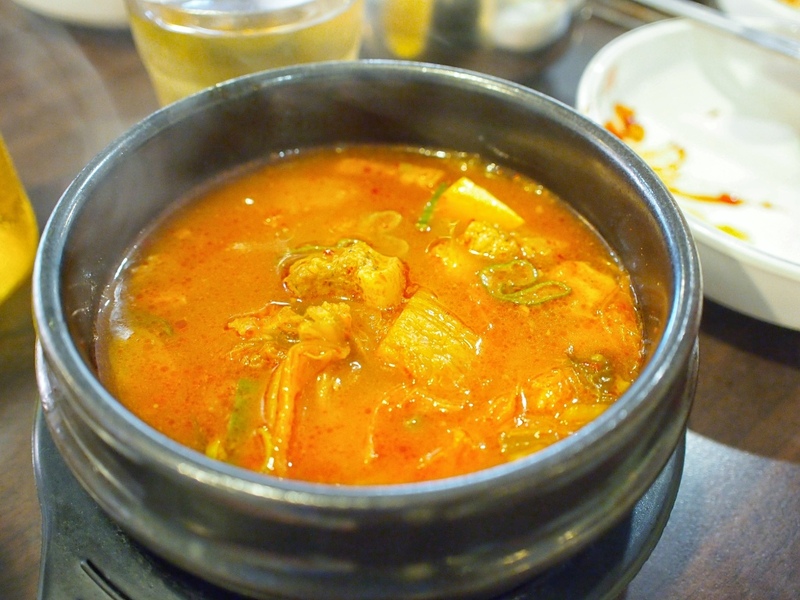 Don’t worry about the soup tasting too spicy as you can wash it down with the rice, the side dishes or the barbeque meat. 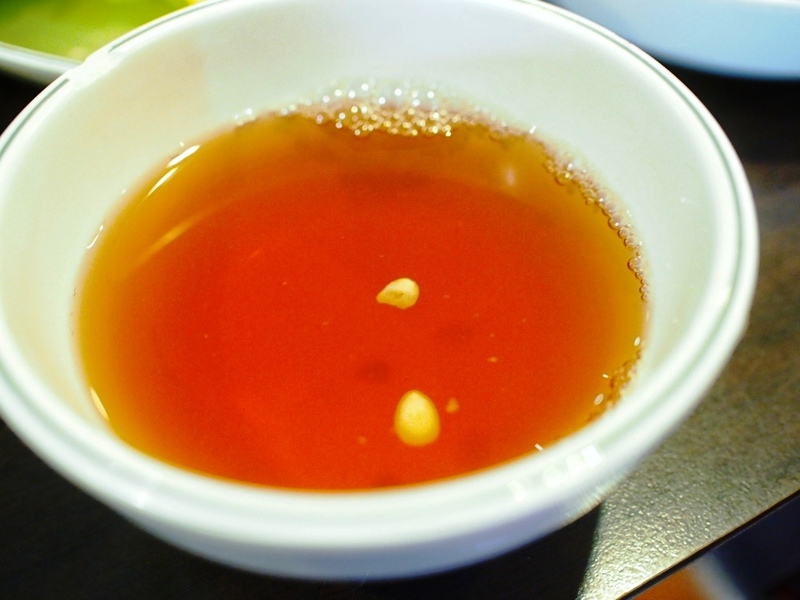 At the end of each meal when you call for your bill, they will serve desserts – which are these love-shaped water melon which are very chilled and usually sweet, together with this ginger tea that is very refreshing! 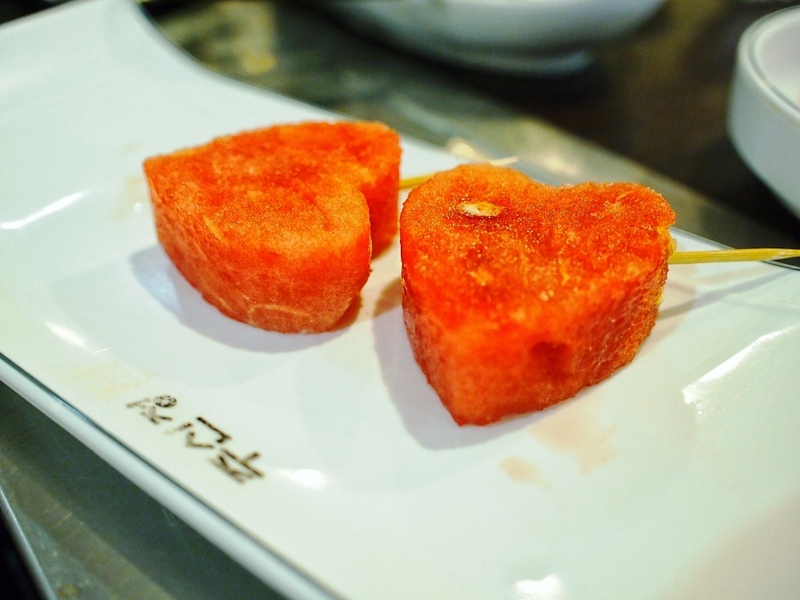 Seriously speaking, I am impressed with the love-shaped water melon as it has been many many years and they still make the effort to cut it these way. Definitely one of a great Korean BBQ that I would like my friends to experience. I can say enough how I like that there are so many sides that are served to you, and someone grilling the meat for you. My friends brought kids along so it even better as more attention can be spent checking the kids and enjoy eating, without the hassle of turning the meat and ensuring it is well cooked. Although they don’t serve beef for their buffet, however, if you desire you can still order it at half price (50% off) from the original menu price. Parking is relatively easy as there is a big car park in front and you can always go for a walk at East Coast Park after a heavy meal.